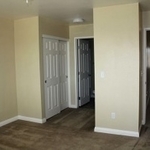 Serving E4 to E5, the Stuart Mesa I Community is located on base, just a mile from the front gate of Camp Pendleton and Interstate 5, and a few miles from the famed Del Mar Beach and Oceanside Pier. 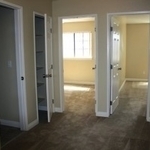 The Stuart Mesa I Community includes townhome-style, two, three, four, or five bedroom homes. 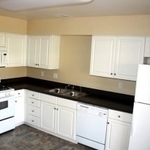 The homes are equipped with attached automatic garages, gourmet kitchens, and spacious dining rooms. 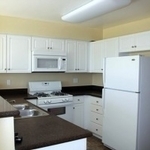 Selected floor plans are equipped with Corian countertops, white thermo-foil cabinets, dishwashers, gas stoves with self-cleaning ovens, 21-cubic-foot frost free refrigerators with icemakers, a breakfast bar area, a skylight, vaulted ceilings, a bay window, private patios, and ceiling fans throughout. 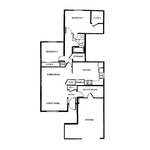 Homes include washer/dryer hookups with large spacious laundry rooms (which for most double as an office), and mirrored wardrobe closets and/or walk in closets. Community amenities include a pool, several tot-lots, basketball courts, tennis courts, a gym, and a multi-purpose community center. 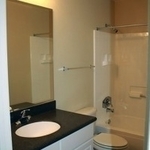 Stuart Mesa I’s great location means that shopping, duty stations and attractions are just minutes away. The 22 mile-long SPRINTER offers a green transportation alternative along the Highway 78 corridor to 15 different stations, which are also serviced by the BREEZE bus system. Additionally, the COASTER trains, which run south to San Diego, connect with the SPRINTER in Oceanside. 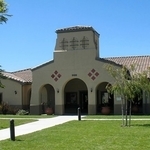 There are a number of local elementary, middle, and high schools around Stuart Mesa I, with LAX and San Diego Airport less than two hours away. Stuart Mesa I was awarded the 2009 Real Estate Award for Customer Service Excellence in recognition of achieving a "Best in the Industry" rating. 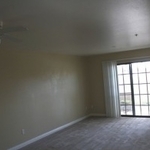 Our community exudes a quality of life like no other. 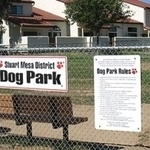 Stuart Mesa I is a dog friendly community.